This is Side Effects' debut album and no doubt a unique sonic treat. Is there life on Mars? Perhaps the question that should be asked is whether there is a City on Mars? This dispute has been of main concern for many years in the scientific community. The legend says that the City on Mars comes to the surface only in very specific times, when the Side Effects frequencies have infiltrated the soil. This is considered to be quite a miraculous phenomenon, the kind that you crave and look forward to, and therefore top scientists have conducted endless experiments in order to be able to anticipate when this sensation might occur, the answer is yet to be explored. Side Effects, aka Yarden Yogev and Tzahi Geller, are from Israel and have started to experiment with production about a decade ago. Their good friendship and common interests made them reach to the decision that they should join forces, and about two years ago Side Effects was born. In their debut album they bring a solid, well-crafted journey that gives you an insider's view over their most current musical evolution. 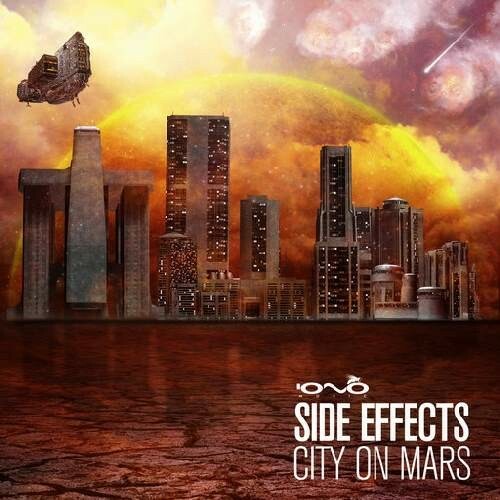 With the right amount of Side Effects they managed to resurrect the City on Mars. They felt that it was a feeling crafted by Ace Ventura, called ' Serenity Now, but they modulated it to their own version. This peacefulness mind also crept a feeling of Paranoia, but the reconfigured prototype gave the exact opposite reaction. It gave a weird feeling of Thunder in Paradise, the kind that expands the Landscapes of Imaginations. Then Liquid Soul gave another Push which was turned into Side Effects interpretation. It signaled ' Dream On! It is more than just a Fantasy that was created with the help of Lyctum, it is The Second Lsdeep.